After five years as a city guard, Durham's horizontal career trajectory adds a corkscrew when a mis-delivered order assigns him to caravan duty for an eclectic group of dwarves who hire themselves out as professional dungeoneers. No ruler wants to leave a powerful magical weapon lying about in a dungeon where just any prophesied upstart can stumble across it and use it to overthrow the kingdom. That's where the dungeoneers come in. Dungeons sacked, artifacts recovered, no job too big or too small. They're not adventurers; they're professionals. 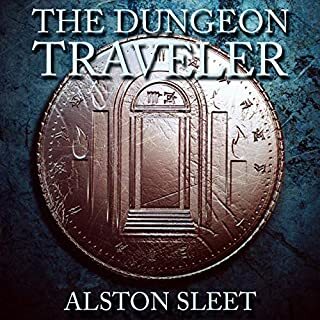 With the discovery that Durham may have arrived with a destiny attached to him, the dungeoneers find themselves in the midst of some history about to happen. Will experience and Dwarven know-how be enough to carry the day? What aspect of Faust Kells’s performance would you have changed? He got off to a rough start. Quite a few of the sentences were read in a way that seemed like he wasn't sure which inflection to use so he decided to use them all. It got to be much better toward the end of the book. Note that when he says something that sounds like "ahk-in" he is reading the word "akin". Small thing, but it certainly knocks on that fourth wall. It's a very funny story and is very well written. 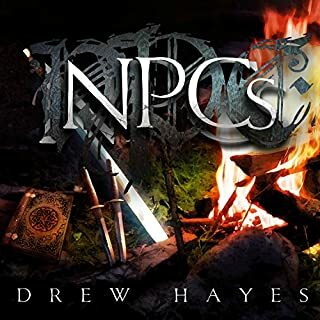 It's similar to NPCs by Drew Hayes. If you want a serious story, look elsewhere. This is just a simple fun listen. He does an ok job with different voices, and it has its moments. If you like the D&D genre, and don't mind stretching the plausible to almost silly, you will like it. I see a few reviews where people expected a book to keep up with Drizzrt.... Different zip code entirely. It's good in a very different way. This book was fun, but could have used some more work. I LOVE the basic concept and there were a lot of really fun sequences in the book. There are a lot of pacing issues. 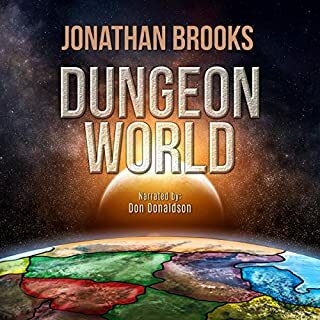 The first few chapters attempt to introduce the characters and it succeeds with a couple of them, but the cast is Quite large and most of the character remain largely unused in the book. There are a lot of middle chapters where basically nothing happens and it gets described in large detail. The ending remains at a similar pace and there's no sense of building tension. The characters don't develop much, and again there are a lot of characters who are introduced and forgotten. I constantly found myself either wondering who a named character is or going "oh yeah, I forgot about them!" If I had read this any more slowly than the 2 days it took me, I would probably have ended up completely lost with the cast. The ending of the book also left me feeling a bit of "Oh, this wasn't really a book. This was a prelude to a series." The book showed a lot of promise, so I will probably check out the series again at a later time, but it didn't hook me enough that I'd particularly recommend it just from the first book. Loved the unique story line! I'm so hoping there are MANY MORE "Adventures" with this fun cast of characters. the story is fun and. new . it keeps you wanting more and before you know you're in deep amd dont care a greT read all in all. A story written by the kinds of people I generally like playing DnD with. You could just feel the influence of practice at collaborative storytelling. Enjoyed the story. Would recommend. 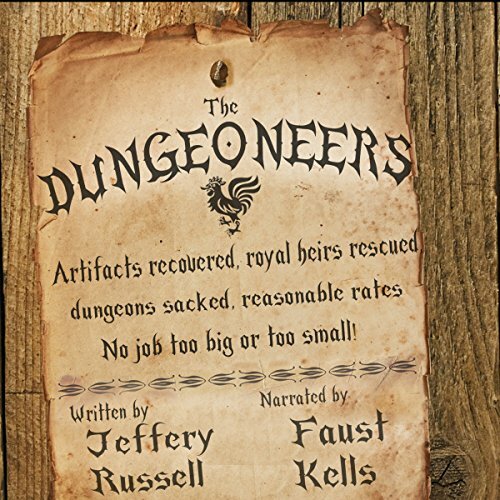 What disappointed you about The Dungeoneers? ...then this book is for you. That probably sounds sarcastic, but I mean it honestly. I know that the "bumbling, worthless main character that comes into his own" archetype is popular for some reason, but I can't stand it. The main character in this story may as well be a cardboard box for all the use he is. A literal monkey could have performed his tasks just as well. 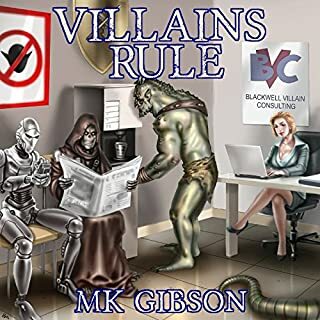 I took solace in the fact that the main villain was astoundingly competent and interesting, until he, too, became astoundingly incompetent towards the end. What was most disappointing about Jeffery Russell’s story? Again, the incompetence of the characters. The primary supporting cast was competent within their own element, but once outside it, they didn't really do anything. At all. Some of the characters were *stated* as being competent, but their overall actions didn't really support that, and it was annoying watching them blunder through things in the kind of luck-based fugue that indicates poor character writing. What didn’t you like about Faust Kells’s performance? I didn't feel that the narrator really did a good job of distinguishing the characters. To be fair, they were all pretty similar, and the author even stated they all had nonsensical accents, so I feel bad for the narrator, as this had to be a hard assignment, but it just didn't pull me in. It had some amusing moments. I can't recall any offhand, but perhaps a half dozen times I found myself smiling or noting that a line was particularly well-delivered. Great story great narrator. had me from beginning to end. I will be waiting for more. Well written, great story, and the narrator was amazing! very humurous as well, i liked this one. This isn't the kind of book that I'd run around nagging people to read (or, in this case, listen to), but it's definitely entertaining. 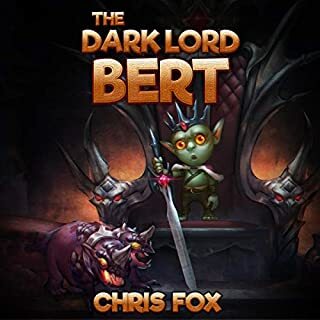 Something about it reminds me of Terry Pratchett's earlier works--kind of clunky, strangely paced, and liberally seasoned with inelegantly inserted homages, but delightfully absurd, clever in quirky ways, and *funny*. Some of the laughs come courtesy of literal bathroom humor (if ye olden adventurers had bathrooms), & chronically missing trousers, but, hey, it totally made me laugh. I look forward to seeing how this author grows in the future! As for the narrator, he certainly made some acting choices that struck me as odd, but he's a solid performer, and for all I know 100% of the odd choices were instructions from the director. The guy can act, though. Give the sample a listen and see what you think. 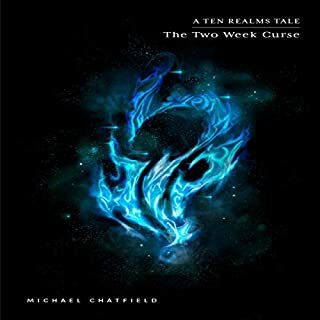 In summary: if you're a fan of the genre, like early Pratchett, and the book's on sale, or you're bored and are having trouble finding something to spend a credit on, give this book a shot. If you're a fan of the genre and early Pratchett, but there's no sale and you have a whole bunch of books that you're excited about, toss this one on your "to read" list and come back to it on a rainy day. It's not "drop everything and read this"-levels of good, but it's definitely fun.